Thanks for stopping by Dakotagraph. 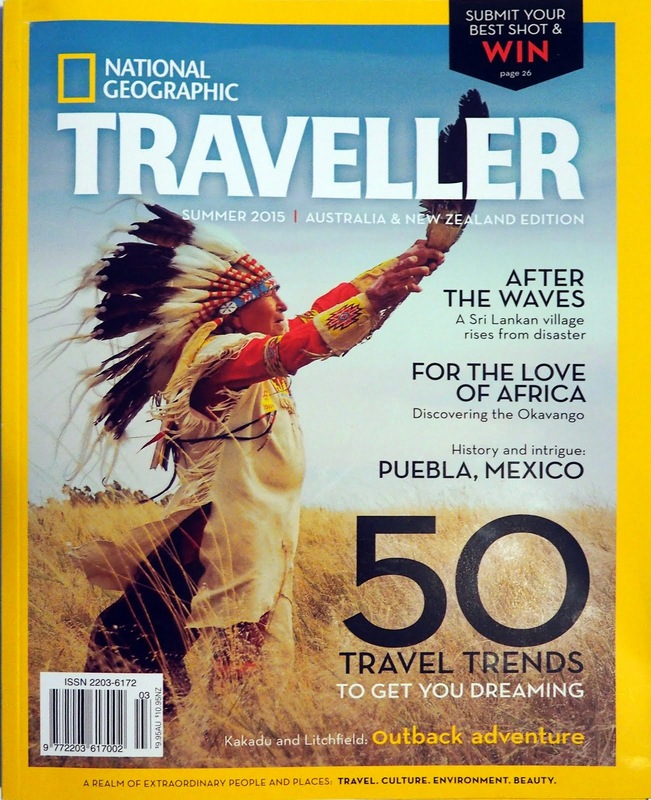 I hope it is useful and provides some inspiration for taking photos in South Dakota and elsewhere. For more active posting and information, check out Dakotagraph on Facebook.com. Happy New Year to all Dakotagraph readers! Got some Christmas money to spend on a spectacular photographic destination in the coming year? Along with magnificent scenery and wildlife, there are many events that will make the Mount Rushmore state especially attractive to photographers in 2017. Crowning the year is a long autumn week that offers photographic instruction, a very unique photo opportunity and typically beautiful weather. 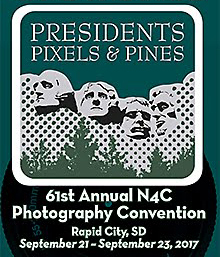 The North Central Camera Club Council (N4C) 61st annual fall convention "Presidents, Pixels and Pines," will be hosted by the Black Hills Photography Club on September 21-23. Full plans are not yet announced for this great event, but you can count on an exciting keynote presentation by a well-known photographer, expert-lead field trips to local hot spots, vendor demonstrations, competitions and classroom sessions. The convention will be based in Rapid City with trips out into the Black Hills. The N4C is an organization of about 40 camera clubs in the north central states. You do not need to be a camera club member to attend the convention. More information about the North Central Camera Club Council is available at their website - www.n4c.us. More information about the Black Hills Photography Club is at their website - www.blackhillsphotographyclub.com. 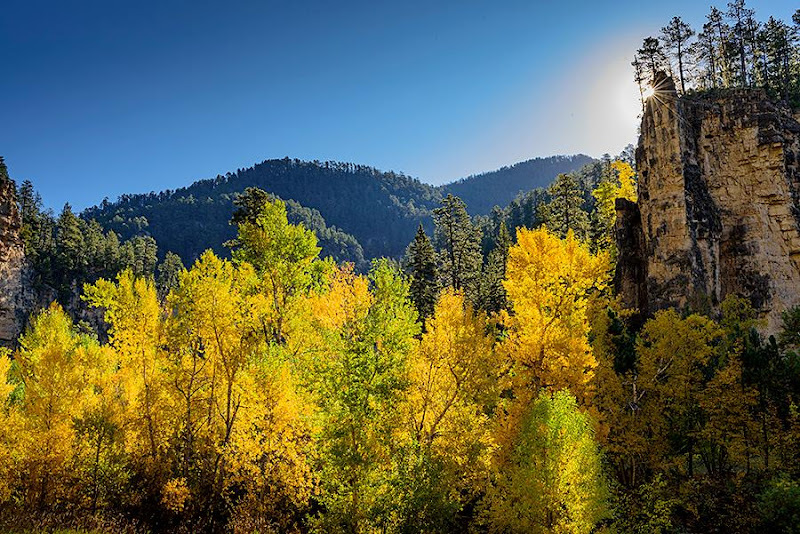 The Black Hills are usually in full autumn splendor during late September, so exploring the area for the week following the N4C Convention should be a special treat. 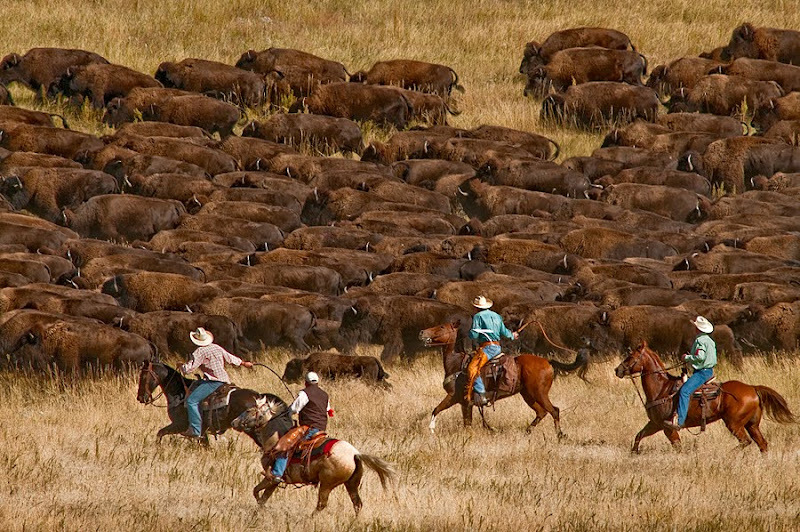 That leads right into the Custer State Park Buffalo Roundup and the Black Hills Photo Shootout. Custer State Park offers great photography any time of year, but the western spectacle of around 1,000 bison being herded by cowboys on horseback and park rangers in trucks is not to be missed. The 2017 Roundup will be held on Friday, September 29. You will want to get there early and bring the biggest lens you've got. More information on the Buffalo Roundup is available at the South Dakota Game, Fish and Parks website - www.gfp.sd.gov. Dakotagraph information and photos of previous Roundups are at - www.dakotagraph.com. Rounding out the big week is the Black Hills Photo Shootout, Sept. 29-Oct. 1, headquartered at Black Hills State University in Spearfish. A South Dakota photography institution since 2010, the Black Hills Photo Shootout offers hands-on instructional workshops at many locations throughout the area. Included each year are special access to places like historic ranches, western reenactor models, and closeup wildlife opportunities. Instructors are photographic experts from the area and across the nation. More information on the Shootout is available at www.thephotoshootout.com. Photos and information from past Shootouts are at www.dakotagraph.com. More information on all three events in South Dakota's Photography Week will be coming soon. Hope to see you wandering the Black Hills and Badlands throughout the week and the year as well. Thank you to everyone who's come here over the years. I hope Dakotagraph has provided some inspiration for your own photos, helpful tips on where to find things, and some entertainment along the way. This blog will stay right where it is so you can look up previously covered topics, other South Dakota photographers, camera club information, etc. 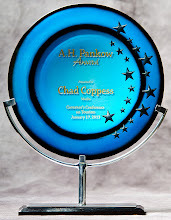 However, most of my online activity in the future will be at the corresponding Facebook page for Dakotagraph.com. Hopefully you will still find helpful and useful information there. The North Central Camera Club Council has announced that the 61st Annual N4C Photography Convention will be held in Rapid City and throughout the Black Hills on September 21-23, 2017. "Presidents, Pixels & Pines" will consist of educational workshops, photography competitions, and tours of photogenic sites in the area. This is the first time the North Central Camera Club Council has brought their annual convention this far west. The organization is made up of member clubs in both Dakotas, Wyoming, Nebraska, Kansas, Iowa, Illinois and Wisconsin. More information will be available soon at the North Central Camera Club Council website. http://www.n4c.us/ The Black Hills Photography Club is hosting the event. The faces on Mount Rushmore don't change much, so finding new ways to photograph them can at times be a challenge. 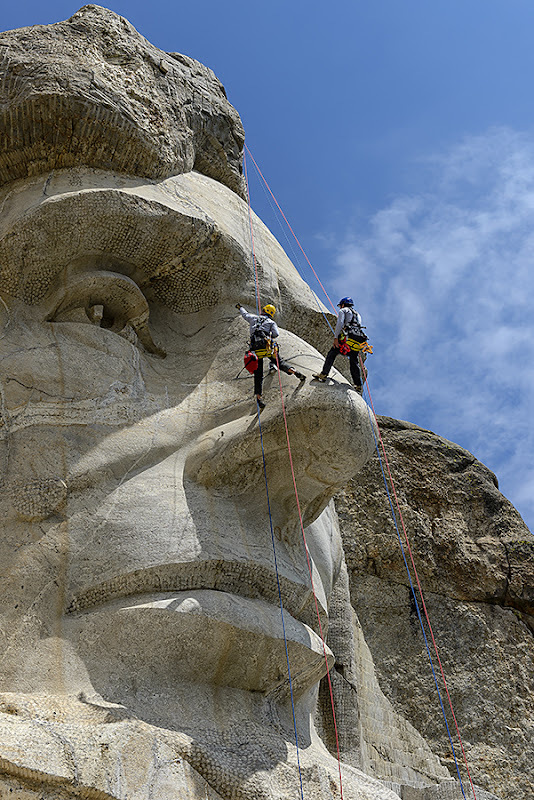 The week of September 12-16 will provide some unique opportunities though with the Mount Rushmore National Memorial Preservation Team climbing on the faces and working on crack monitoring equipment. Cables and ropes for hauling equipment to the top of the mountain and workers dangling over the faces will be visible all next week, weather permitting. 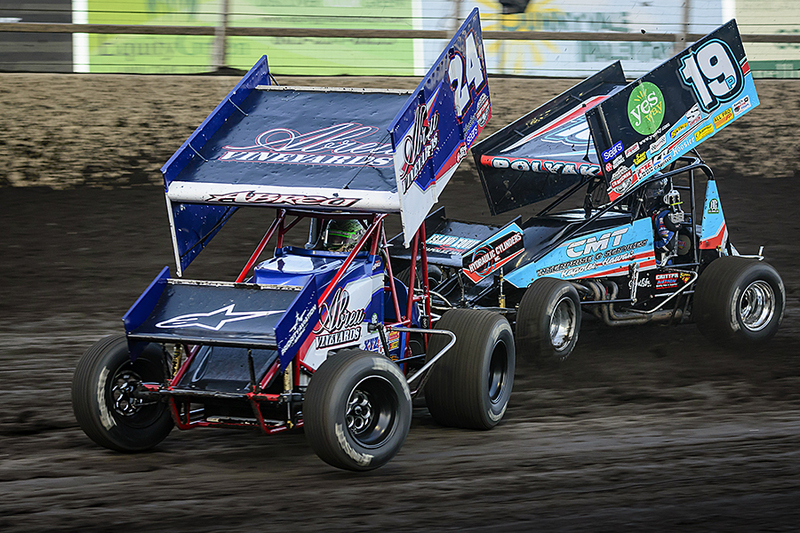 I ran into photographer friends Shannon and Brian Voges at Badlands Motor Speedway in Brandon a couple weeks back. 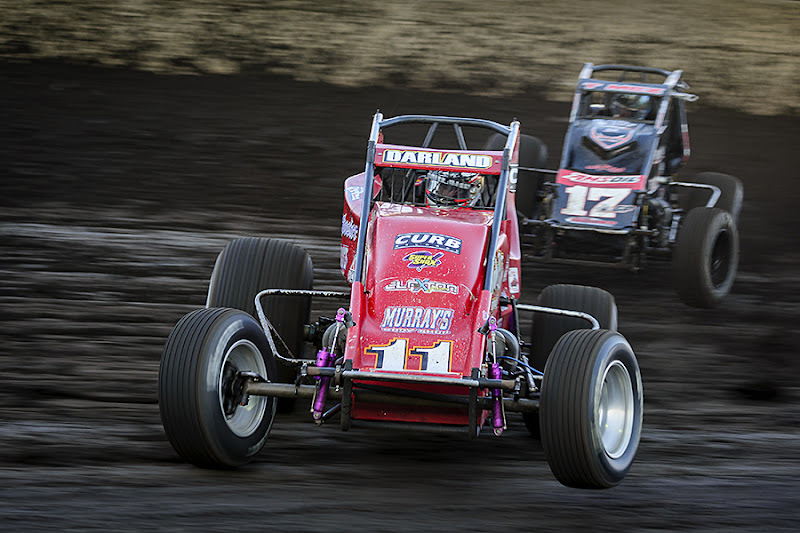 We had a discussion about panning, especially with things moving as fast as sprint cars on a dirt track. One of the secrets to photography is shoot a lot and learn from the bad ones. The key to successful panning photography is moving at exactly the same speed as your subject matter...and shooting a lot. For every good shot, I have a lot to throw away like these. But when it works, the successful images are really fun.